We’ll be the first to admit that changing denim trends can be frustrating. After all, a pair of quality jeans can be a significant investment, which means you obviously want to be able to wear them for more than just a season or two. Alas, this year, with the arrival of S/S 15, denim trends have gone in a drastically new direction, making a bold move toward a ‘70s-inspired look. To avoid getting stuck with a one-season wonder, we’ve rounded up six denim characteristics to look for, no matter what the denim trend du jour may be. Scroll down to see what the classic characteristics are, and to shop our favourite versions of each! Showing a little ankle is supremely flattering and leg lengthening. 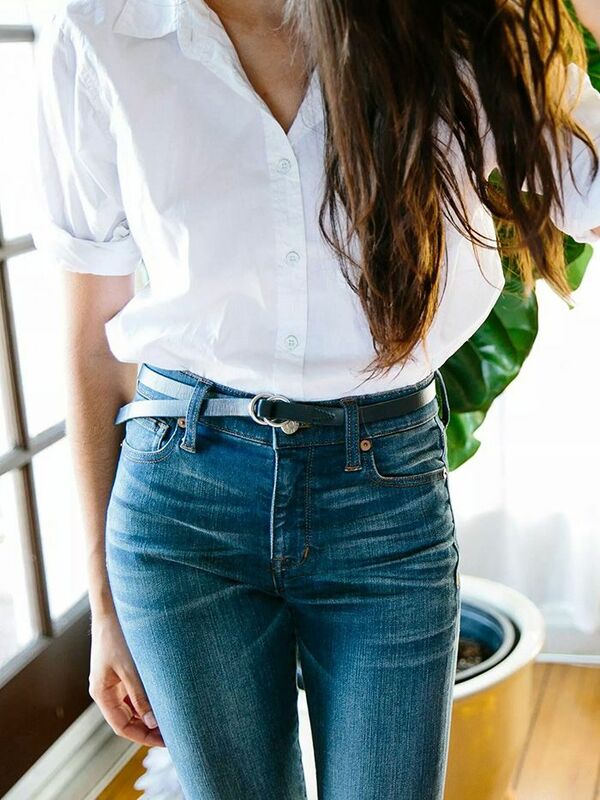 Additionally, cropped jeans look great with whatever pair of shoes your heart desires, and add a cool gamine quality to any look. If you want your backside to look its best (and who wouldn’t? ), stick to simple, classic back pockets. Trust us, it’s in your best interest to avoid intricate or oddly-shaped pockets that will draw attention for all the wrong reasons. Not only are perfectly slouchy jeans gloriously comfortable, they lend an air of effortlessness to any look. Bonus tip: Keep them on the slim side for the most figure-flattering effect. 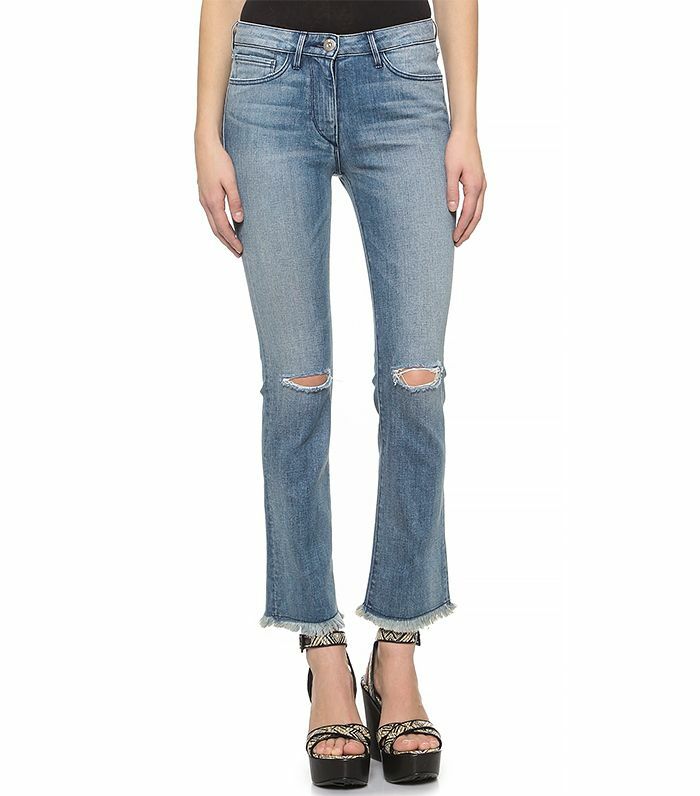 Whatever you do, step away from the low-rise jeans (for good). Higher rise styles add polish, and they can even be worn to the office if jeans are an option for you. The best part? They give the illusion of mile-long legs. While overly distressed denim has the tendency to appear forced, subtle distressing says, “These old things, I’ve had these for years!” (Even if you haven’t.) The more organic and vintage distressing looks, the cooler you look. Enough said. 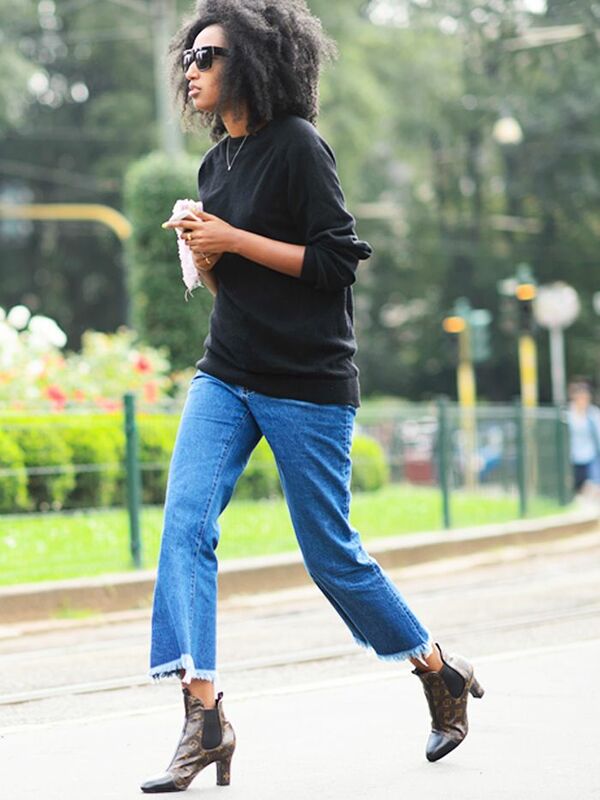 Is Tucking Your Jeans Into Boots Officially Out of Style? If you don’t have a pair of black or dark wash jeans, stop what you’re doing and add them to cart. This ultra-versatile option will take you from the office to date night with ease, no matter what the fit or style. What denim characteristics do you think are the most timeless? Comment below!